If you’re new to TFR, it can be a daunting experience. However, when you get into the flow of things, it is a wonderful time, full of hope and the prospect of an exciting, new future. 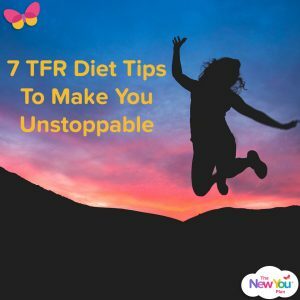 Thankfully, we’re here to help you get your journey off to a wonderful start, thanks to our TFR diet tips to make you unstoppable! How do you feel when you think about being on a TFR diet? How you feel will greatly impact your results and your chances of getting to your healthy weight loss goal, and the experience that you have on your TFR diet. Losing weight is what you make it out to be. If you think your TFR diet is going to be hard, a time of sacrifice, depressing, boring, overwhelming and useless – then guess what… it will be!! If you think your TFR diet is going to be the start of an exciting new healthy vibrant lifestyle where you are living the life of your dream and looking in the mirror and thinking WOW! – then guess what… it will be!!! Simple yes? Well er…. no not really. Sounds easy in theory, doesn’t it, and we all know IT IS TRUE. 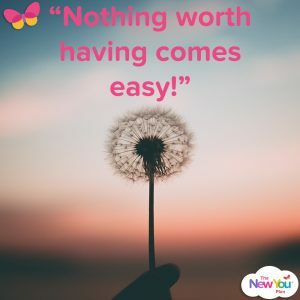 We have all been IN THAT ZONE at some point in our lives where losing weight is this easy, fast, exciting and exhilarating journey, and when we know that we WILL get to our goal. This is especially true on a TFR diet, when you can drop a dress size in a couple of weeks!! The change can be so rapid and the results so dramatic that it is easy to stay motivated! We have all also been there when doing a TFR diet – it is the darkest hardest place and it feels like losing that next pound is an impossible journey, and every day is frustrating, long and generally hard. So how do we get back into the unstoppable diet zone? How do we make being on a TFR diet that exciting transformation rather than that an awful time of sacrifice? You know that place where you KNOW that nothing or no one will stop you from getting to your weight loss goal and you feel on fire! Write out the reasons WHY you want to lose weight. You need to be REALLY CLEAR on WHY you want to be slim and healthy. What exactly will it mean to you? How will it impact your romantic life? How will it change your activities with your friends, family, kids? How will it make you feel when you go to a social event? Could it help you get a new job/career/promotion/business? How will you feel about yourself? Will it increase your confidence? Happiness? Self esteem? Get clear on what you have to give up to achieve this goal, and DECIDE that this is a price worth paying. Make the benefits of what you GAIN by going on the The New You Plan, far outweigh the sacrifices that you will to make. 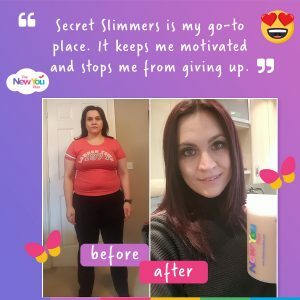 In your mind you have to almost think that it is ridiculous that you would even put the food/drink that is holding you back in front of all the amazing benefits that you WILL gain when you get to your healthy target weight. When you see other people losing weight, you will feel inspired. You will think to yourself… “If they can do it, I can do it”. You will start to see what is possible, and how quickly you can get to your goal. Every week counts. Stop thinking about it, and get started. Check out The New You Plan weight loss challenges for inspiration. Customer on our plan get exclusive access to Secret Slimmers. This is a secret group on Facebook where dieters on the plan share their weight loss journey. It is such an amazing community and very supportive and encouraging. As all the posts are secret it is a very active community and there is always someone online to support and encourage you and inspire you with their story. There are also photographs of amazing transformations for you to look at. If something is worth doing, do it 100%. When you do TFR diet 100%, the results are pretty spectacular. Doing it 100% means taking 4 products per day, drinking 3-4 litres of water per day, no nibbling and no milk in your tea or coffee. KISS your diet – Keep it Simple Stupid! The simpler it is, the less grey areas you introduce, the faster the results, and the easier it becomes. Short term pain for long term gain. Protect your ketones as they are the key to your success. Lying around watching TV and opening the fridge door to look in and stare at the food is not good. I love this saying – “Emotion comes from motion!” – If you feel down in the dumps, look at what you are doing with your body. Are your head and shoulders down? Are you lying down? If so – GET UP, MOVE, SHAKE YOUR BOOTY and GET MOVING. All you need to do is go for a walk, go window shopping, go to the park, go visit your granny or auntie, go do anything, but don’t lie about doing nothing. I can honestly say that the best approach to TFR is to do it 100% and take it one day at a time. Can you get through today? Yes you can. And how are you going to feel at the end of the day when you go to bed and you did it 100%? You are going to feel fflipping brilliant!! That is how you are going to feel. When you wake up in the morning, affirm in your mind: “I can do this!” Take it an hour at a time if you need to. Set small goals to drink your water, take your shakes, get to bed without tripping up. Soon you will be in ketosis, and it will be easier. ENJOY the process. 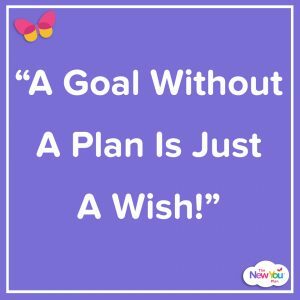 Feel EXCITED about your transformation and set goals that are no more than 7 pounds and ALWAYS plan a treat or reward and ALWAYS make sure you acknowledge your success and do not let it pass without celebrating. You can buy shoes, scarves, perfume, make up, hand bags, beauty treatments, vouchers for yourself, CDs, books… whatever it is that floats your boat. T0 help you get into the Unstoppable Diet Zone you should watch Day 1 of the New You 7 Day Kick Start Video series. You will also be able to download worksheets to help you get clear on why you want to lose weight and what it means to you. All of our customers will get access to the full 7 day online video coaching program. Now all that’s left to do, is get started!